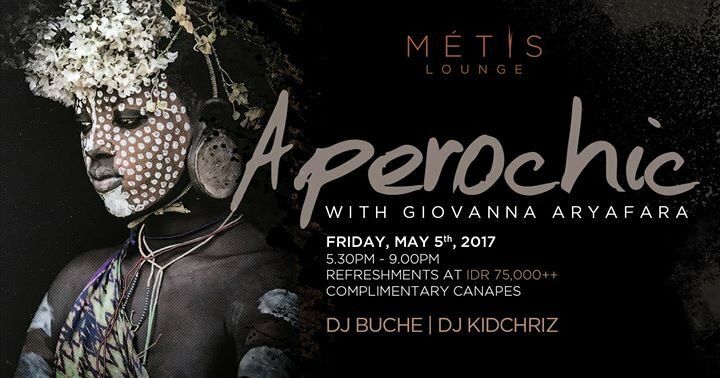 Join Metis for a very special Aperochic this week featuring photographer Giovanna Aryafara. Get an inside look of her travels to Ethiopia and be inspired by her Tribes of the Omo collection featured in Metis Lounge and Metis Gallery. From 5.30pm to 9pm, enjoy selected cocktails at only IDR 75,000++ and complimentary canapés.